You can pick out who has vata as their dominant dosha because they tend to talk a lot, move a lot, and worry a lot. They are creative worriers and usually have twelve million things going on at one time. Their mind is constantly going and they have a very hard time sitting still. This is due to the movement quality of Vata/wind - mind and body are zipping everywhere often times finding it hard to find peace and grounding within themselves. Because vatas have such creative energy, they make good teachers, artists, actors, and professional speakers. And believe you me, vatas like to talk! And wiggle. And complain. Because something usually hurts, including their brain. They also forget things, tend to be late and change their mind all the time. 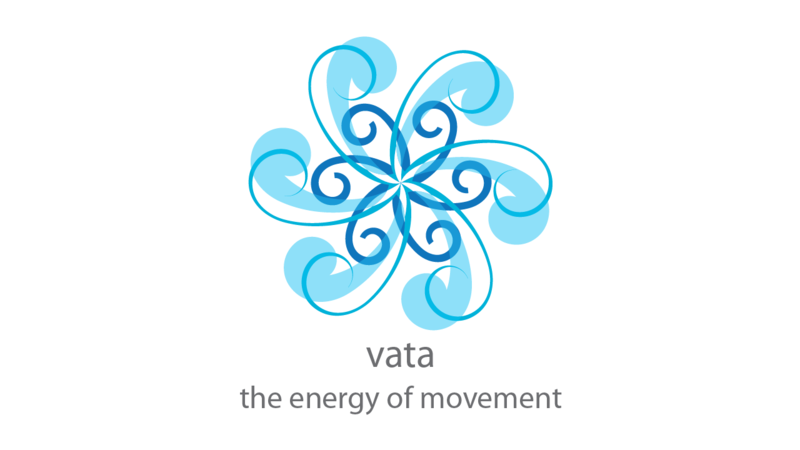 Balanced vatas are contagiously energetic and are the people you might say, "light up the room." Vatas tend to be slender and can be tall or short. Bones are prominent, their hair is dry and usually curly. Face is oval in shape and eyes are small with teeny lashes. Fingers are long and nails are brittle with a tendency to split. Dry and thin skinned, vatas are easily browned by the sun. Vatas like to run around (mentally and physically), so one of the best things they can do for themselves is to slow down - or even stop. Meditation, yoga practice, and pranayama are all wonderful for bringing some grounding and nourishment to vata. Remember, vatas are air and ether so they need grounding to keep them from flying away. Nutritionally, vatas can do this by adding oils (ghee! ), fully cooked vegetables, milk, and grains to their diet. Vatas need to keep warm and oiled. In the day-to-day, having a solid reliable schedule is best to ease and ground their fluttery mind. They love the sun and warm, humid weather. Steam rooms are great too. Vata appetite is erratic and vata digestion is usually sluggish. Yep, constipation. To help vata digestion, they need oleation (ghee!) and warm foods. Oils & sauces lubricate the body to counterbalance the rough & dry qualities in vata and warm foods will help balance the cold qualities. Learn all about the three doshas and grab your copy of the dosha snapshots. Keep bringing Ayurveda to life!